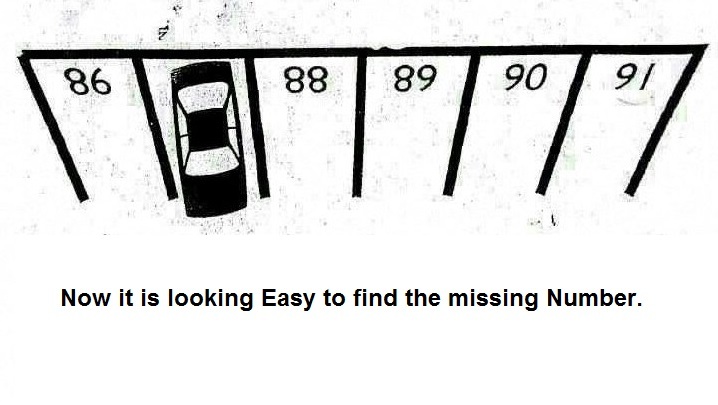 One needs to find the number under the car. If you look at the numbers upside down, they read 86, __, 88, 89, 90, 91. The number that fits this pattern is, of course, 87. Therefore, the space as the picture is currently viewed should be filled in with L8. There is a usual sequence of numbers, we're just looking at it in the wrong direction. The numbers of the parking spots must be viewed from the outside in, as a driver would see them, which is upside-down from the current view. The shown numbers are: 86, ? ?, 88, 89, 90, 91. 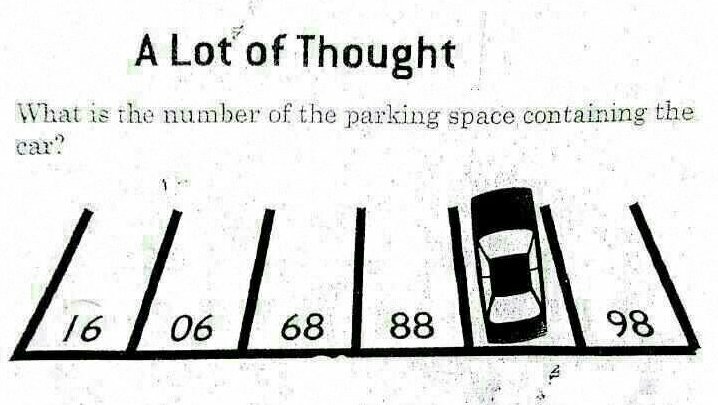 Therefore the answer is 87. The Number is 87. Just rotate the image 180 degree. Not the answer you're looking for? Browse other questions tagged lateral-thinking pattern or ask your own question. What is number of car parking spot ?